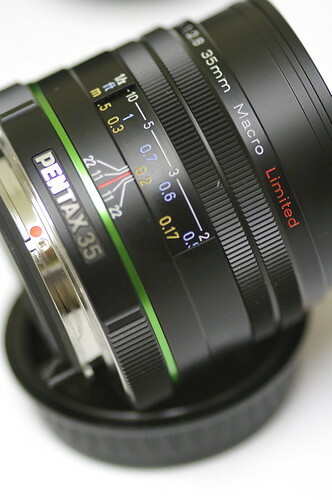 Please don't tell anyone: I actually replaced my Pentax FA 31mm f/1.8 limited with this wonderful Pentax DA 35mm f/2.8 1:1 macro limited. After owning this DA 35mm limited for months, I can attest that this is my go-to lens for product shots as well as documentary. I bring it along when I can think of photo-journal opportunity. Its macro 1:1 ability makes it a wonderful to use for product shots. I used it mostly for my product shots on lens and camera gear. If you ever see a product shot of a lens or camera in my blog pages, you are more than likely to see the focal length 35mm from this limited lens. Though it is not a pancake, it is still relatively small like the Pentax FA 77mm f/1.8 limited that are easier to bring along. 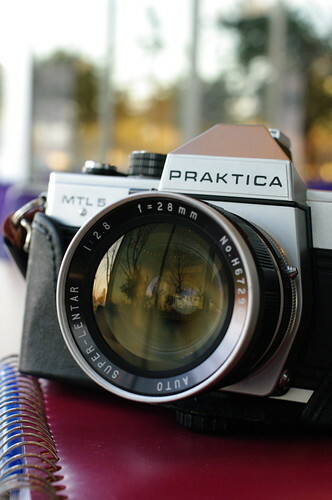 My recent documentary on my first Medium Format camera with Pentax 645N were all shot with this lens. I also tried it out on macro with flowers and results are quite satisfactory. The quick shift built in with the lens will make it a powerful macro lens to use where manual focusing is key such as that getting close to 1:2 to 1:1 on flowers. I have not disabled AF on half-press, it would have been even more suited had I turned off AF on my shutter release and use AF key to engage in auto focusing. With the extra setup, I can by-pass the AF in macro shooting with the DA 35mm limited which has the wonderful quick shift between MF and AF on turning the focusing ring. A great alternative to Pentax FA 31mm f/1.8 as I found its macro capability as well as size and price more appealing to me than the 31mm. Color and bokeh very decent but they can't match up with the FA 31mm especially on color and detail.